The scene we didn’t see/didn’t make the cut in Blood of My Blood. 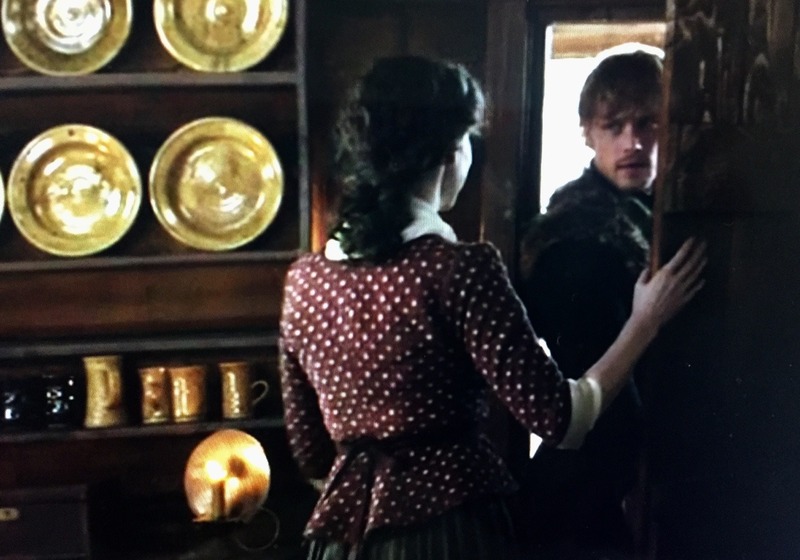 It would have been sweet to have this scene with Jamie and Claire, especially after they have been apart for six days. 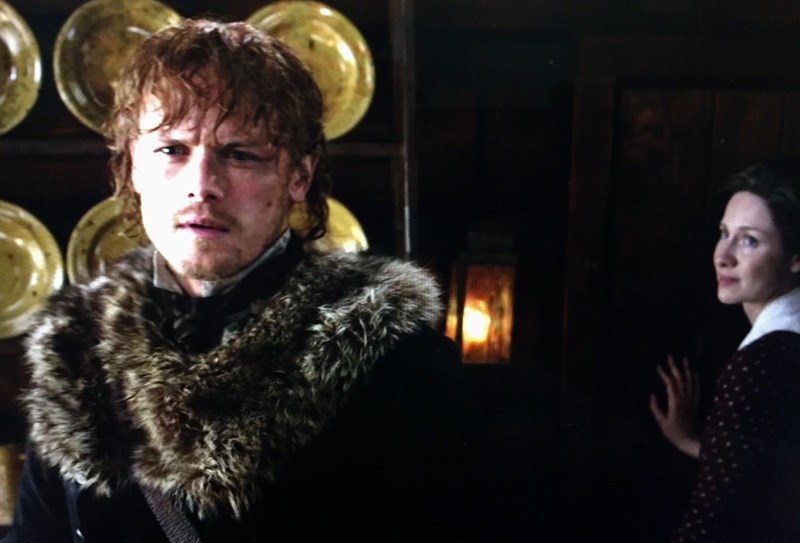 It would have shown continuity of Jamie asking Willie to be careful with the entrails for Claire. 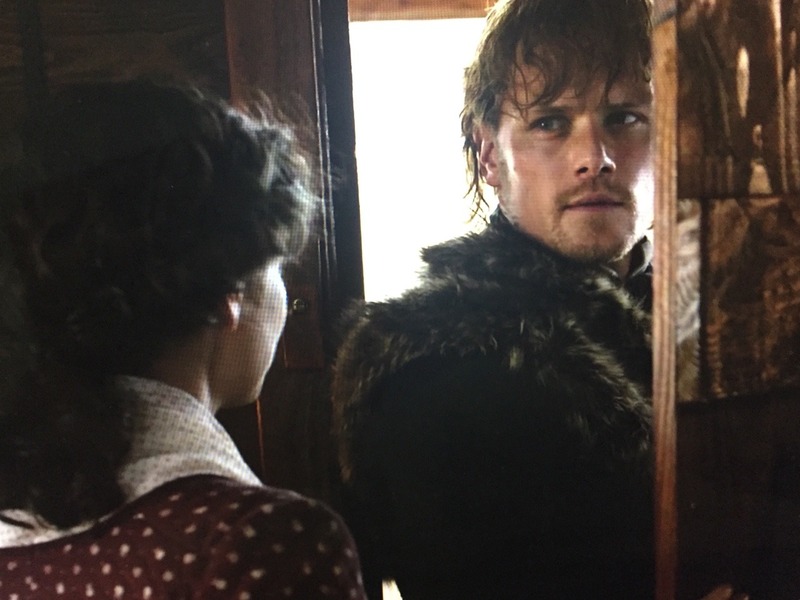 It would have portrayed LJG as more humane with regards to his perspective of Jamie-Claire bond. 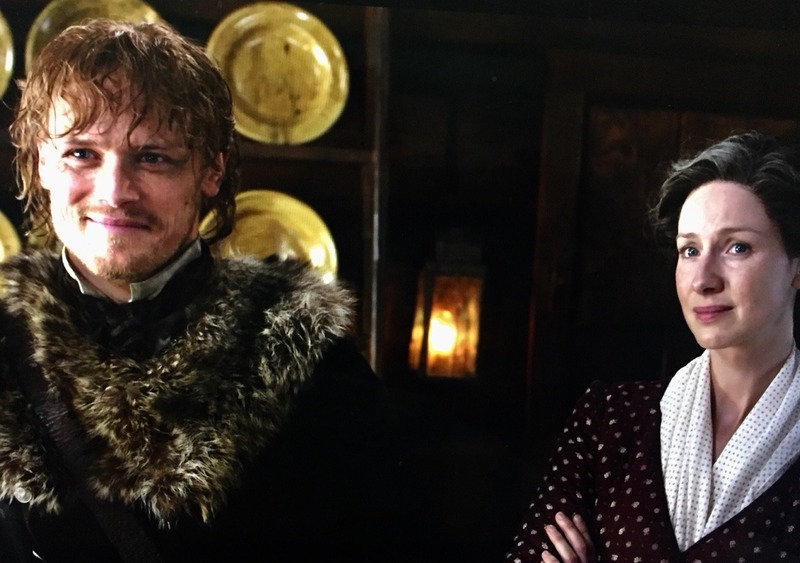 What is it about Caitriona’s Claire that bothers you in this season? Caitriona is capable of great acting. We know it. We’ve seen it. She has awards and/or nominations to testify to her acting prowess. Claire used to be spirited even when she didn’t have a reason to live. Caitriona has always played Claire with an inner fire that I appreciate although sometimes her Claire comes across as too cold. But she balances those two competing emotions nicely (I like vulnerable Claire but she doesn’t play that side of her often). Not so much in S4. I see a lifeless Claire, not the Claire who cherishes being with Jamie again, building a home and creating community. 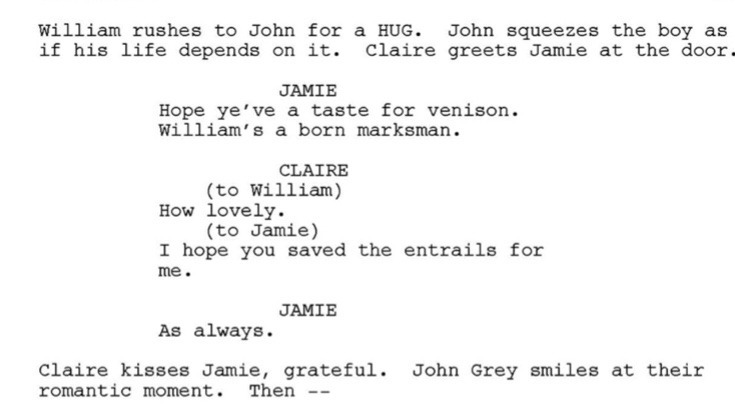 I don’t see the Claire who is hungry for Jamie and their time together. This season’s Claire is a shell of the Claire I used to enjoy. This Claire is lethargic, unmotivated, and disgruntled with life. She seems ‘vacant’ for the most part. Claire in S4 certainly doesn’t resonate with the “solid Frasers, secure in their relationship” that was sold to us during promo. It can also be said that Caitriona is trying her best to convey Claire’s inner conflict about leaving Bree and coming back to Jamie. We have seen this in Season 3. If she is working with that for this season, they should have given us more from the the get go (it’s not reflected in the script because either a lot of scenes did not make it to the big screen or was simply not written in such a way). Give us conversations with Jamie about her turmoil and let us hear Claire’s voiceover on this. Give us more that speaks to her melancholy. But all we get are action and drama, scraps for Jamie and Claire, botched or no adaptation of iconic scenes and dialogues. It’s like there is a center but it’s not Jamie and Claire. They are on the periphery and centralized from time to time but even when the episode revolves around them, they spend the majority of their time being separated.